Ligament reconstruction procedure can be performed as day surgery under local or general anesthesia. Your surgeon will place a cast or a splint that immobilizes the wrist until it is healed completely. The operated wrist should be elevated to prevent excessive swelling and pain. You will be prescribed antibiotics to prevent infection and medications to reduce pain. Always remember to keep the operated area clean and dry to prevent infection. 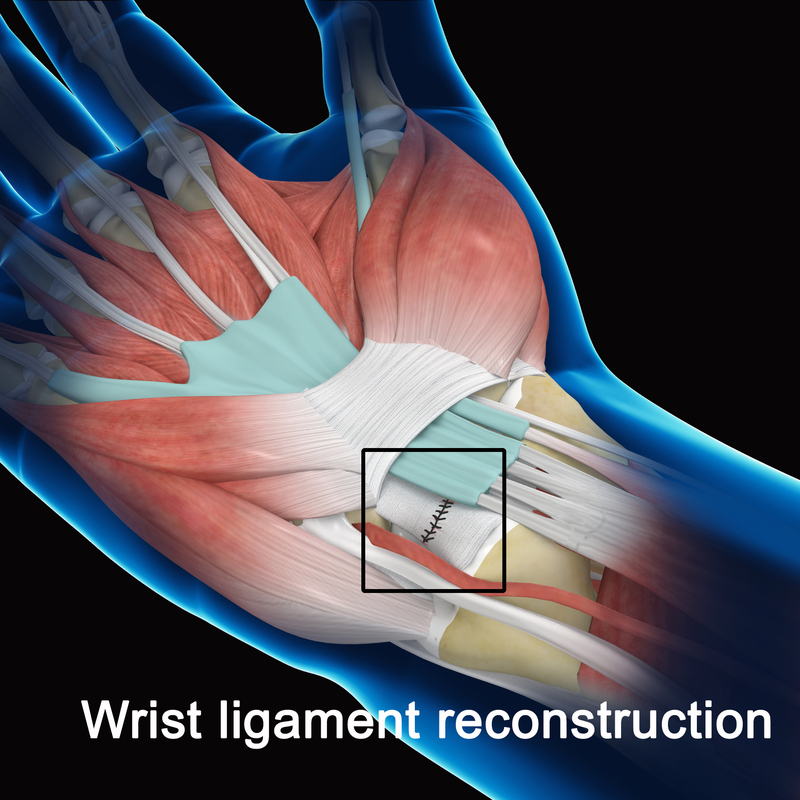 Some of the risks possible after wrist ligament reconstruction include infection, swelling, damage to the nearby nerves or tissues during surgery, irritation from foreign material such as pins, and stiffness which can be treated through post-operative rehabilitation. Exercises are performed to strengthen the wrist and rebuild your strength.